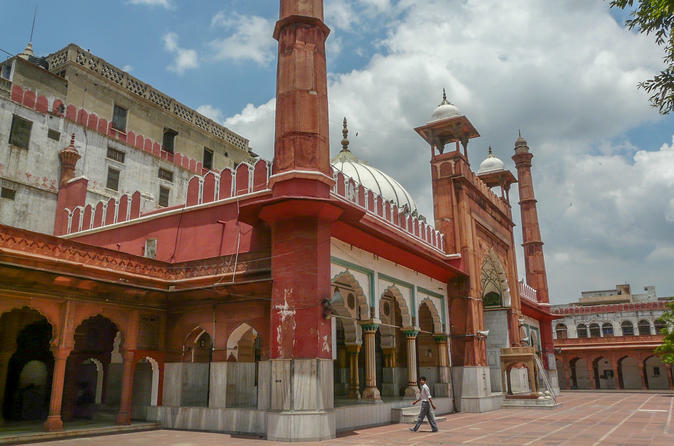 ...d mosque and the Chandni Chowk market. 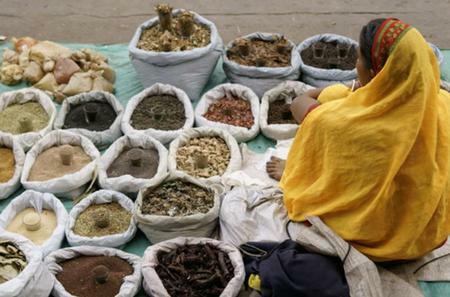 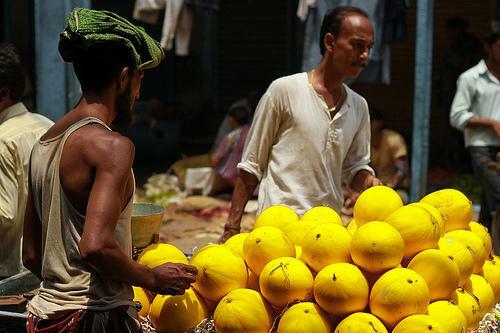 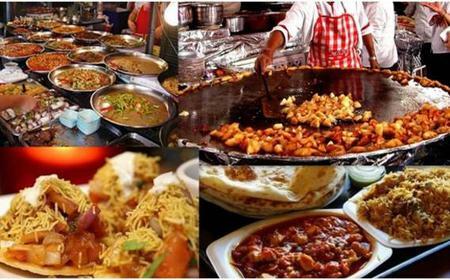 Taste some famous snacks, and enjoy a short ride by rickshaw to the spice market. 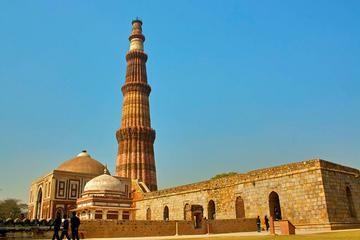 ...ents and the vast Indian Presidential House in New Delhi. 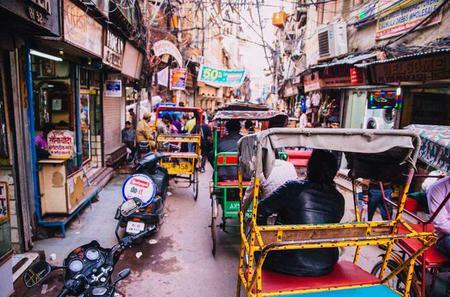 Enjoy a rickshaw ride at Chandni Chowk, in bustling Old Delhi. 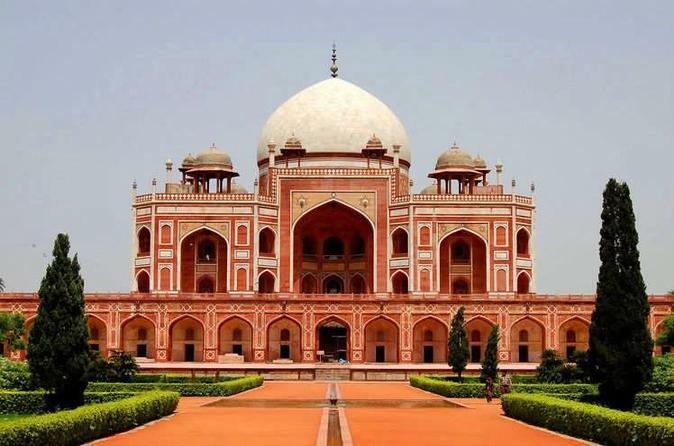 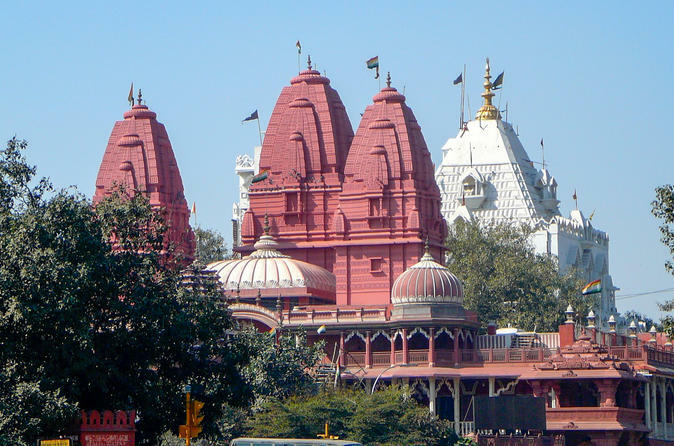 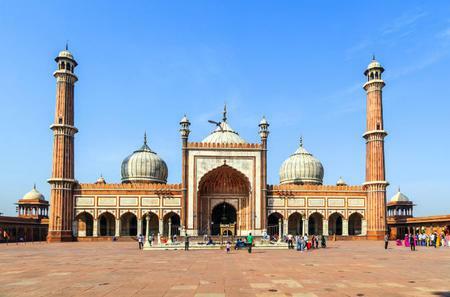 ...ith heritage buildings, visit Jama Masjid, walk through the bazaars of Chandni Chowk and stop by for some famous snacks! 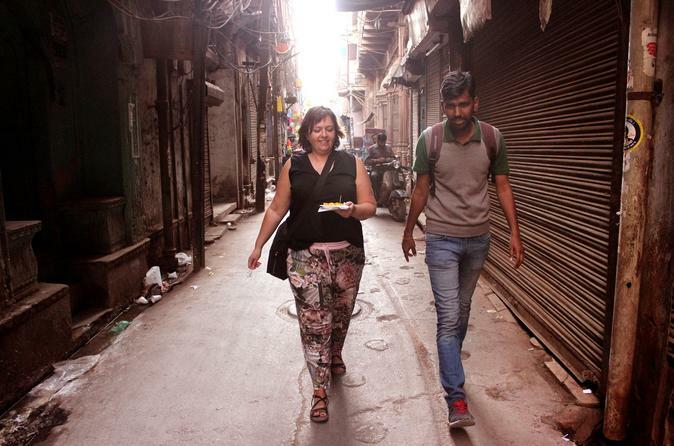 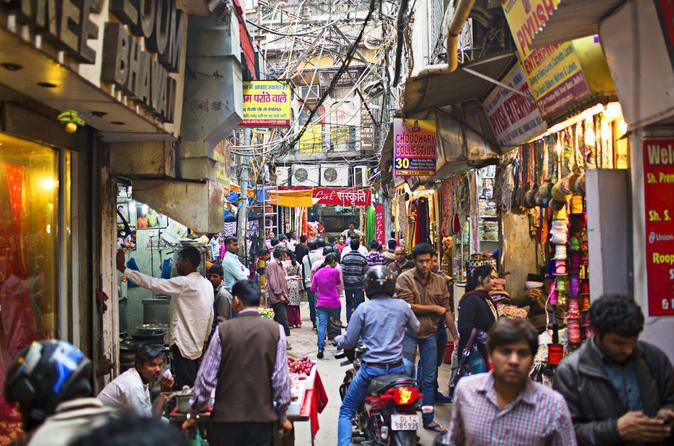 Chandni Chowk is the heart and soul of Old Delhi, the place to go for the full-on Indian experience of crowded, twisting alleys with tiny shops and vibrant windows. 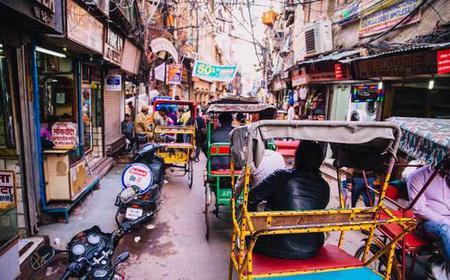 Chandni Chowk is the heart and soul of Old Delhi, the place to go for the full-on Indian experience of crowded, twisting alleys with tiny shops and vibrant windows. 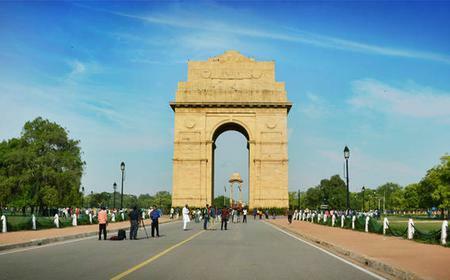 The Fountain serves as a useful orientation point, and there are great Delhi-style snacks to be found in the vicinity too. 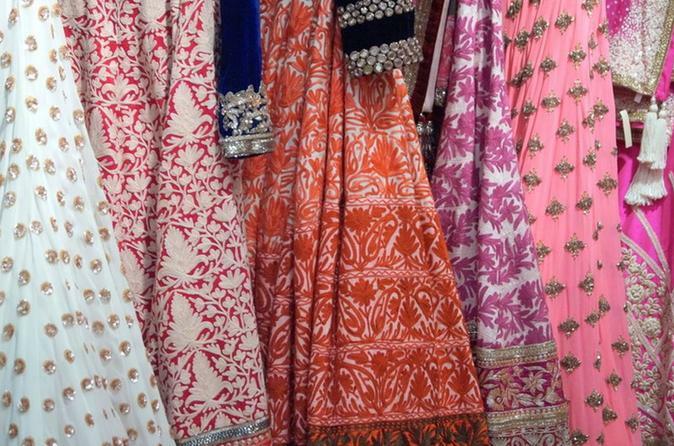 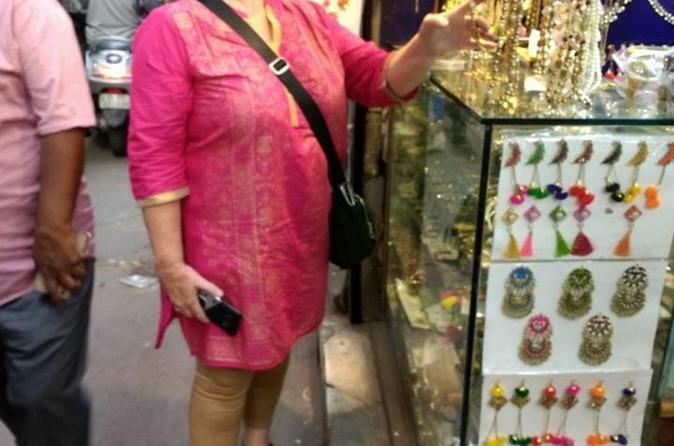 Shop here for colorful Indian saris and kurtas, traditional accessories like woollen shawls and dupattas, trinkets and miscellaneous items. 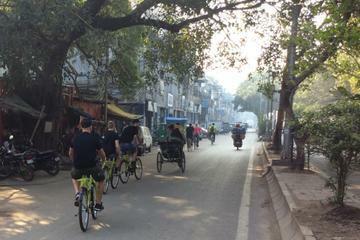 If you get too tired to walk, hire a cycle-rickshaw and get driven around like a local.